I get tremendous satisfaction from helping FICO's customers to solve their complex business problems; much of my time is spent listening and consulting with customers directly. When I in the lab, I personally am intrigued by the discovery of new machine learning methods and IP to solve these business problems, and truly enjoy leading and collaborating with my team of data scientists in doing so. I was originally trained as a Theoretical Physicist, working to understand patterns and phase changes in systems that transition from order, to disorder, to turbulence. For example, my Ph.D. work focused on chaos theory which, perhaps surprisingly, is highly applicable to business areas such as financial crime. The same methods that I studied and developed in my academic years and early career are directly applicable to a large variety of data-driven business decisions. 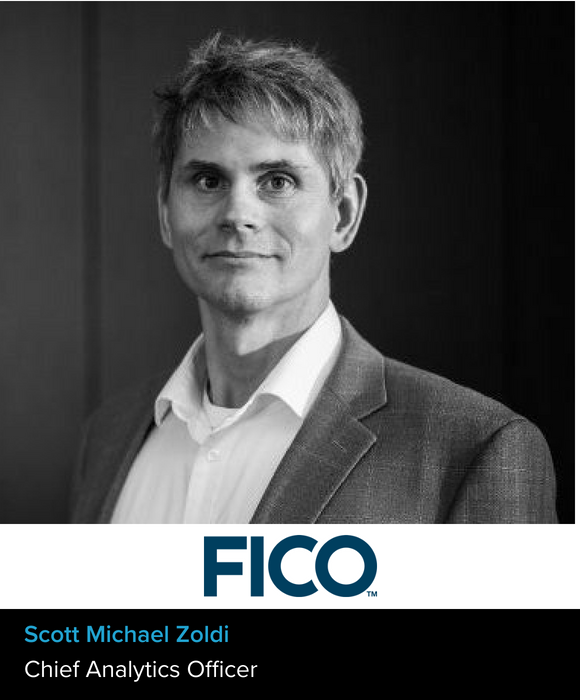 At FICO my focus is on applying artificial intelligence and machine learning to our customer's operational data, to allow actionable and measurable decision management. Customer collaboration has inspired and influenced me. The most forward-thinking financial institutions and other businesses are keen to pioneer the use of new machine learning algorithms to solve tough challenges. Helping these organizations achieve this vision by articulating the decisions, data and necessary machine learning innovations is incredibly interesting and rewarding for me. I am currently working on a system of entirely new machine learning algorithms to detect money laundering. This is an enormous, global problem, and only an estimated 1% of money laundering is detected worldwide. Machine learning holds much promise to allow reduction of "false positives" (transactions that are deemed suspicious but in fact are legitimate) associated with current anti-money laundering prevention practices while significantly increasing the detection of money laundering that is currently overwhelming financial systems. The project continues to emphasize the importance of explainable AI required in all applications of machine learning, but in particular AML which today is largely driven by risk-based transaction rules which are transparent. For successful adoption of Machine Learning in this area, we need to see the performance of machine learning coupled with the explainability needed by analysts, compliance teams, and regulators. I am excited to see machine learning move more broadly into our every day life. I see a huge need for more innovation around making machine learning explainable, interpretable, and transparent. Focus on understanding business decisions deeply, partner with strong software engineers, and ensure that you build operational models that meet that business need and within the constraints of the production environments that it must operate. And above all do what you love!